Some truly wonderful and hilarious scenes don't quite make up for an unconvincing HEA. Some truly wonderful and hilarious scenes don’t quite make up for an unconvincing HEA. 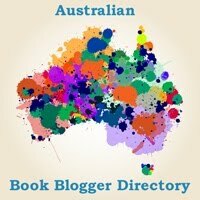 This review was written by guest blogger azteclady as part of our series of reviews featuring this year’s finalists for the Romantic Book of the Year awards. azteclady reads, reviews, rabblerouses. She can be found at her blog, Her Hands, My Hands, occasionally at Karen Knows Best, Karen Scott’s blog, and at MyMedia-Forum. 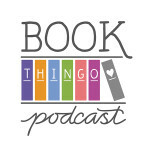 I’ve been following azteclady’s posts from way back when she first started posting at Karen Scott’s blog, so I’m incredibly chuffed to have her as a guest at Book Thingo! This was a difficult review to write for a number of reasons, so please bear with me. 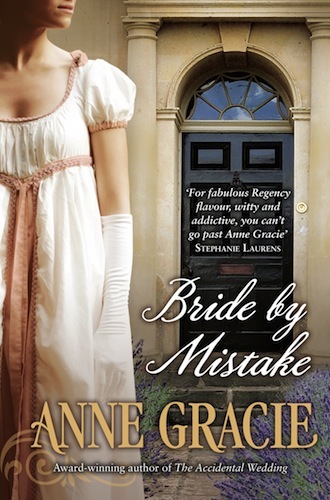 Anne Gracie’s writing is always beautiful and engaging, and I had liked both The Perfect Rake and The Perfect Waltz so very much, that I was eager to read and review this book. Sadly, this novel is both a road romance and a trip down memory lane—and not always in a good way—and it didn’t work for me very much. Our protagonists are the feisty Isabella and the gallant Luke (and I’m using these two words advisedly), who meet in Spain during the Peninsular Wars. He was not yet twenty at the time, she barely thirteen, and he rescues her from ‘a fate worse than death’, delivering her safely to the convent where her aunt lives, and where Isabella will presumably be safe, both from the war and from her evil cousin, Ramón. The action of the novel itself does not start until eight years later though. We learn then that, in order to ensure Isabella’s protection more securely, Luke had married her. That way, should Ramón find her, he would still have no access to her fortune, and therefore have no reason to hurt her. However, and since the marriage was a drastic measure designed to protect Isabella in desperate times, the original plan was for Luke to wait a suitable number of years—provided he survived the war, of course—and then simply request an annulment. Not being a historian, I have no idea how historically accurate the premise is. I must confess it doesn’t sound very likely to me, but I’m somewhat willing to buy into it. After all, a young English lad would have no reason to be versed on what the Catholic church would require to grant—or deny—such a request, and given pressing circumstances, he may not had even wondered about it. At any rate, the plan fails, the request is denied, and now Luke, Lord Ripton, must go back to Spain to collect his bride. Which he does with incredible reluctance, because horrible things happened to him there during the war—after his marriage to Isabella, of course. Luke is dragging around a transatlantic ship full of guilt over the horrible, bad, no good things that happened to him during the war, and has decided that he’ll keep his wife at arm’s length. He’ll protect her, provide for her, impregnate her, and never ever truly care for her. In the meantime, Isabella has spent the last eight years—yes, you read that right, EIGHT years—shut in a convent, with absolutely zero communication with her husband, waiting to see whether at some point he’ll come and take her home. Wherever that is, because all she knows about him so far is his last name, that he’s gorgeously handsome, and that he’s English. And so, when our protagonists meet again, they both have some heavy baggage to lug around with them. In Isabella’s case, there’s the weight of expectations. She has built an impossible dream around a man she never knew, and when it comes crashing around her ears—as it inevitably would—she defies common sense in order to fulfill a promise made to her father before his death (which would be just days before Luke rescued her, by the by). At any rate, Luke is determined to return to England post haste, to fulfill a promise of his own, made a decade before to his sister Molly. 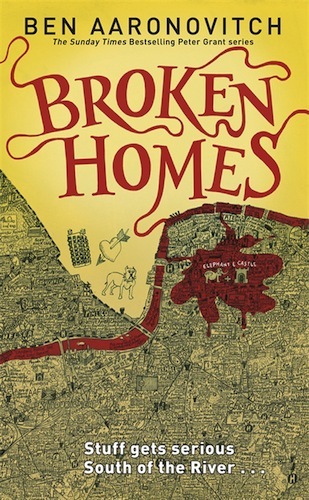 Isabella is determined not to leave Spain until she has fulfilled her own broken promise, and so takes off—on her own, in a country still suffering the lawlessness engendered by seven years of war—back to her father’s lands. Where, by the by, she knows her evil cousin is now master. I think I could have put up with the feisty/stupid behavior from Isabella and with Luke’s own moron tendencies (I was betrayed once, therefore all women are evil and cannot be trusted under any circumstances), if it weren’t for the fact that the novel takes place in less than three weeks. Worse, we go from ‘I know nothing about you’ to ‘I love you with all my being’ in less than two full weeks—and yet, Luke and Isabella still barely know each other. Isabella in particular clings to her initial memories of Luke—or rather, her impressions of him—for a good chunk of that time. The almost insta-love (from zero to HEA in a matter of weeks) is not a trope that always fails with me; there are quite a number of books I like and reread often which are based on it. In this case it just didn’t work, because I never got a sense of Isabella as a grown up, and even Luke’s attachment to his guilt felt—dare I say it?—a tad adolescent to me. I didn’t see them grow, either in the eight years they haven’t seen each other, or in the two weeks they spend together. In fact, I’m not entirely sure that Isabella wouldn’t take off again sometime to take part on some other harebrained scheme without considering either the logistics or the potential consequences, once they are back in England. On top of that, there are a couple of revelations towards the end of the novel that felt much too contrived, way too neat. Some circles never close, after all, and people learn to let go and move on despite that. On the other hand, there are some truly wonderful scenes in the book. For example, I truly enjoyed Luke’s ruminations during their (oh, so very delayed) wedding night, about the education of women. There are also some honestly hilarious scenes—such as when Luke must ride sidesaddle all over the countryside looking for his runaway bride. Isabella’s musings while still at the convent are wonderful, and some of her reflections later on in the story are quite moving. In the end, I feel conflicted about this novel. 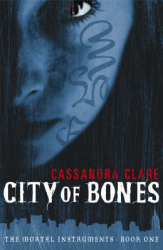 I liked the writing itself, and I liked that some stark realities were touched on in the course of the story, while simultaneously being unable to believe in the romance and finding that I wanted the darkness to be explored in a more realistic manner. It felt as if the tone of the story was too light—indeed sometimes too comedic—to mesh well with the seriousness of the protagonists’ pasts. After all, Isabella has been orphaned, betrayed from every quarter, abandoned and discarded for eight years. Luke has survived betrayal, torture and is grappling with crippling guilt. I just can’t believe, as I read them, that they both overcome all of this in less than two weeks. Gah…this is hard. The balance is a nay for me, because I just couldn’t believe in the romance between Isabella and Luke. Or rather, I am not convinced, by novel’s end, that they are in a place where HEA is possible. I will still read Ms Gracie’s books, but sadly this one is not a keeper, and it did not inspire me to seek out the first four books in the Devil Riders series. 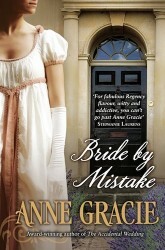 Tagged 2012 releases, anne gracie, award nominated, devil riders, spain.